Freelancing can be a lonely business. We look at what you can do to help stave off the blues while you work. When people talk about becoming freelancers, they focus on the perks of being your own boss. 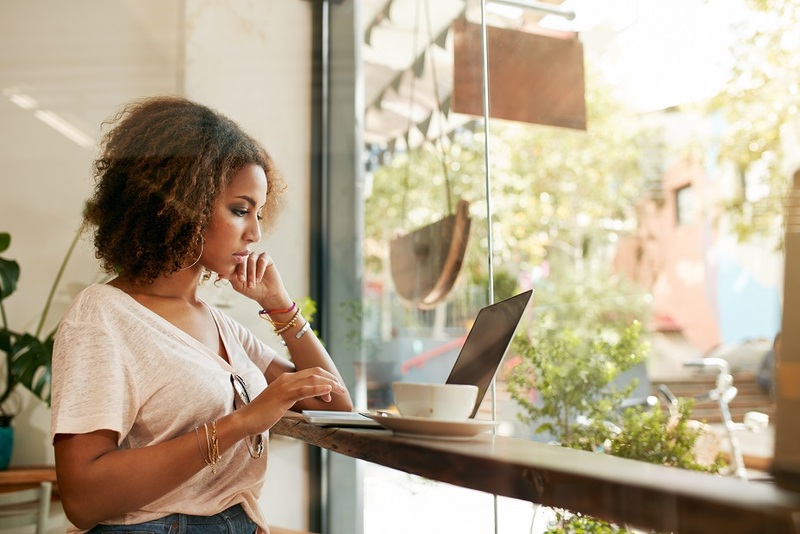 The ability to work hours that suit you from wherever there’s a Wi-Fi connection — freelancing can be great. What people don’t talk about is that freelancing can be a lonely business. Working remotely means spending a lot of time alone without workplace support, and that can lead to feelings of loneliness. This is bad for our mental health, so it’s important that freelancers tackle it head on. To help you out, here are some things you can do to keep loneliness at bay. Working to a schedule will not only help you stay on top of your time management – a big issue for a lot of us freelancers – but can also help stave off feelings of loneliness. Breaking down your day into smaller chunks can make them feel more manageable if you’re struggling, and can really help you focus. A schedule also gives you the opportunity to add in those activities that will help get you out of the house. Managing your time like this will mean an early morning gym session or a daily post-lunch walk won’t leave you feeling guilty about being away from your desk. If working alone all day is getting you down then remember — there’s more to life than work. Think about getting a hobby that you can do in the evenings or at the weekends. A day’s work at home won’t feel so demanding if you know you’re going to meet up with new friends that evening. While joining a sports team might sound like the obvious option, these days there are clubs and groups that meet every diverse interest. Check out meetup.com for more information about what’s available in your area and if nothing takes your fancy then why not try something completely new? If you’re getting cabin fever from being at home all day every day, why not mix up your workplace by taking your laptop somewhere else? These days there’s plenty of choice for a freelancer looking to connect to a different Wi-Fi signal. The old freelancer favourite, the local café, remains a strong option and certainly provides plenty of options for human contact. But from the public library to one of the many excellent co-working spaces there are loads of options — check out our guide to see which one would work best for you. Emails are king these days. We send loads of them every day, but they aren’t the most personal of ways to communicate. If you usually deal with your clients via email then why not mix it up a little? Having face-time with clients not only gets you out the house and gives you some much needed interaction, but it can also help build better working relationships. Why not opt for Skype chats over emails and schedule in a few face-to-face meetings every month to help keep things fresh. This entry was posted in Blog and tagged Freelancers, health at work, Homeworking, Mental health, remote working, Self employed on 25th September 2018 by Julie Tucker.